Salcedo Village, still sounds like a residential community, but have been known as one of the bustling cities thronged with businesses of all sorts. Looking back, from years, years ago, it is where I started of as an insurance professional with Allstate. 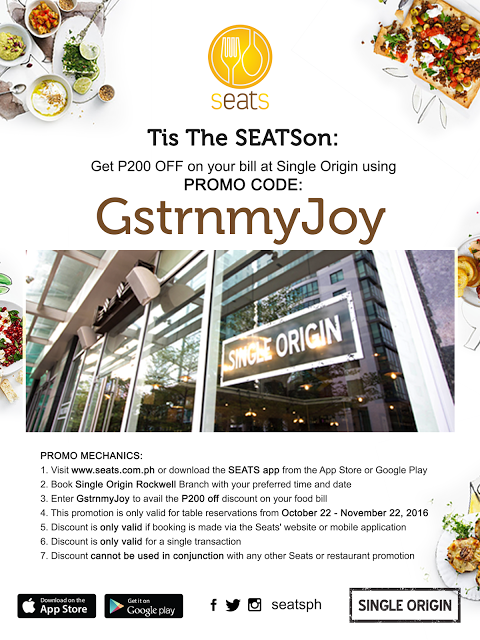 Then, there were a few restaurants where we can have meals or business meetings and most of the times, we would end up driving or hitching a cab to Glorietta or Greenbelt to get business deals going. But most of those times spent eating where made along the streets where Jollijeeps are parked catering to employees of Ayala. 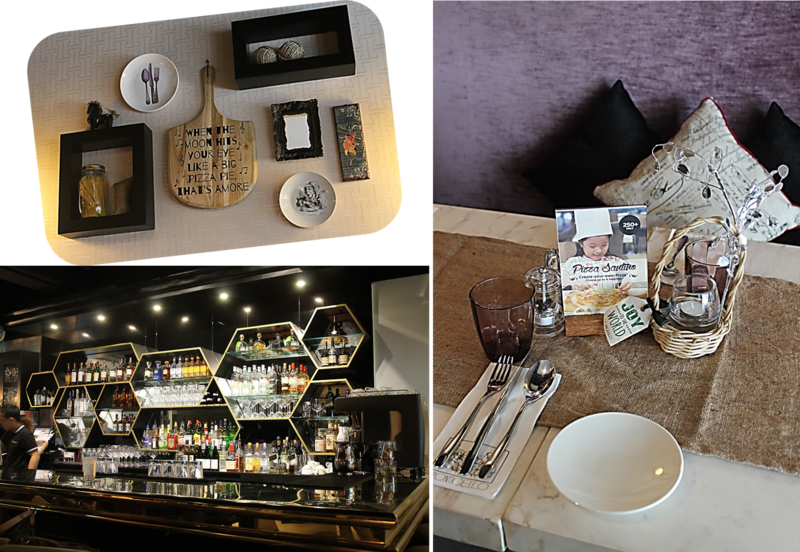 Now a counterpart of Legazpi Village in the foodie scene, Salcedo Village hosts to one of Manila's to-go to restaurants. If you think non-Makati workers won't be able to appreciate even the streets of Valero and Rufino, you might want to read on. I never knew I would have such a wonderful time dining with my "bunso" (youngest daughter) at a business place such as Antel 2000 along Valero St. It was the first time I brought a kid with me at such a place. Bonding moments with my girls came with mall tours or bazaar-shopping, then some delightful meals, of course in the malls, except on occasions where we would go to restaurants not in the mall. 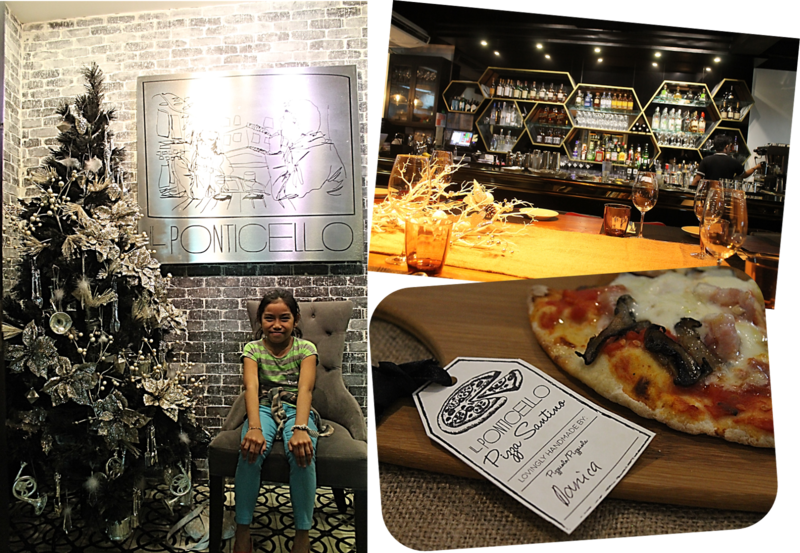 You might not believe I brought my daughter to Il Ponticello. Many moms may think twice but I didn't and I never felt so glad. They did had the reputation of a good-hang out place after a day's hardwork. Bet you didn't know it has been acquired and have been re-branded by a different owner just last October. 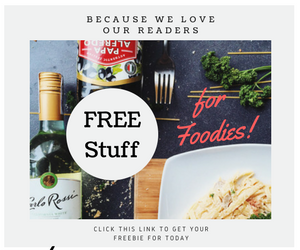 With these, exciting promos and dining packages are in place making it not just a place for Makati people but for families as well. The place looks typical of some Italian homes I've been to in Milan, sophisticated with a rustic touch. 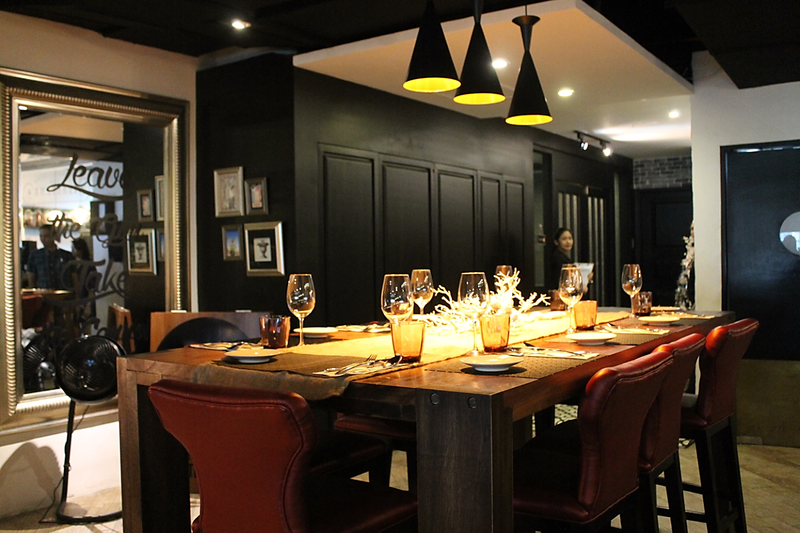 Don't be intimidated by it's hidden venue, the people at the lobby of Antel 2000 are so accommodating, so just go ahead and ask how go to Il Ponti. We took the stairs and my daughter had been bugging me why we were there, not after entering the doors of Il Ponti, she finally had the idea, then she asked, "Is this were we are having brunch mom, it's so posh here?!" 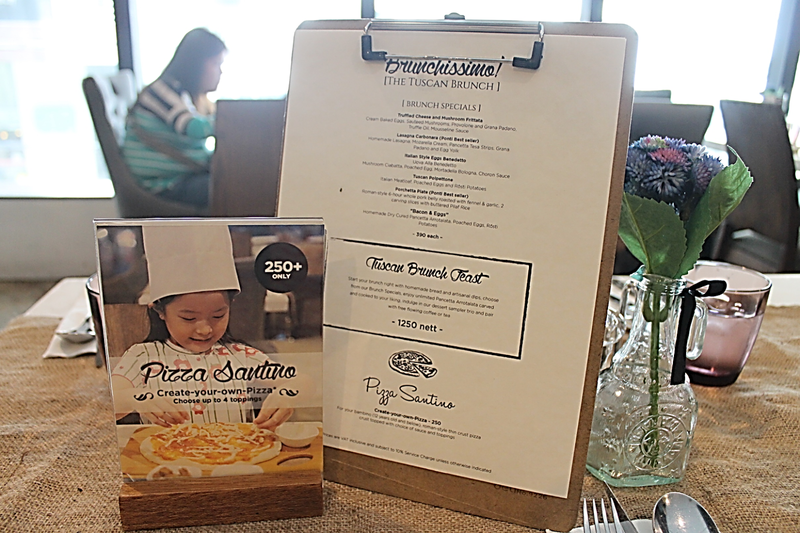 Termed as Ponti by many, they have launched the weekend brunch offering-Brunchissimo [The Tuscan Brunch] last December 6, coinciding with another promo, Ponti’s specia, the Pizza Santino: Create Your Own Pizza for Kids. Like any proud mom, I'm eager to show how my baby did with her pizza creation. While I was asked about my choice of brunch, another wait-staff helped out my Danica with her DIY pizza tray. You'll feel well-accommodated as your kids make their pizza on their table. A wooden tray carrying four of your kids' choiced toppings, pomodor and bechamel sauces and a 7 inch home-made pizza dough. 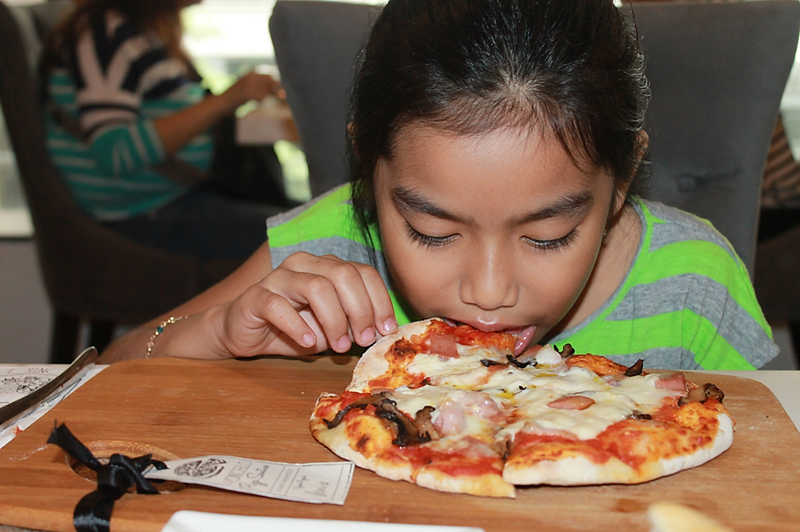 For Php 250, your kids can get to design and play with the toppings. 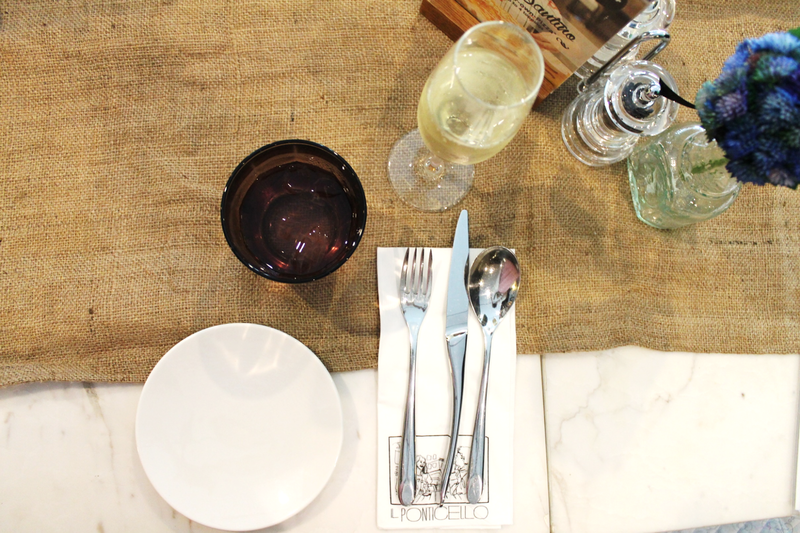 For now, like the Brunchissimo, it is only offered during Saturdays. A waitstaff will be near to help out, however, since my daughter seemed to know her ways well with pizzas, coz we usually make some at home, he just looked on and waited for her to finish. The toppings on her tray btw, are mushrooms, ham, pancetta, mozzarella and parmesan. As her final topping, she laddled the bechamel sauce over the pizza. Can you recognize the letter? According to her, it's M for mommy. Then, the staff accompanied her to the kitchen and brought her pizza to be baked. Then, that tadah! moment when the cooked pizza was served to her. Oh my, look how excited she was, not minding how piping hot the pizza was. 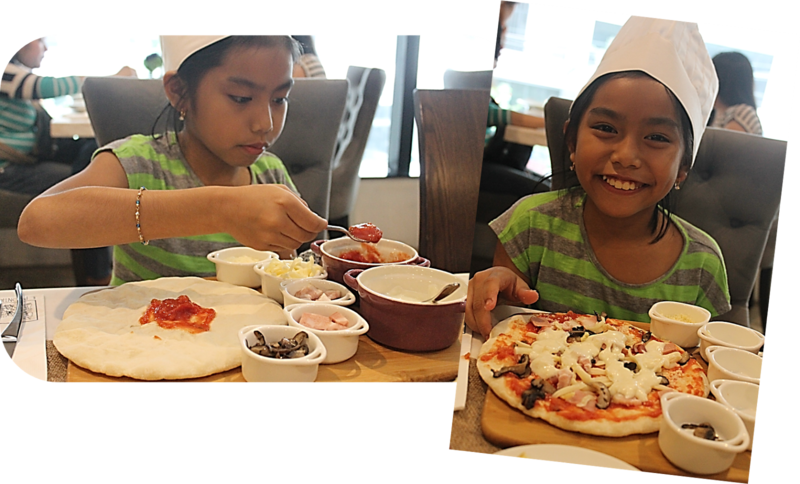 The pizza was too big for her so she gave me a slice, and boy, that was one heck of a truly delightful Italian pizza, and my bunso made it all by her self (clap, clap). 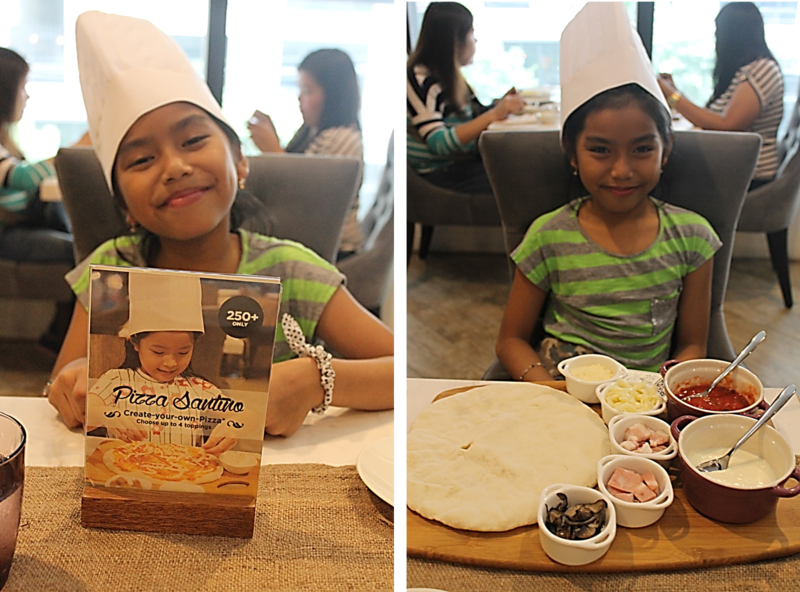 Not only did she enjoy the experience of making her own pizza but with the ingredients being of good quality, she loved every bits and pieces of it, literally. 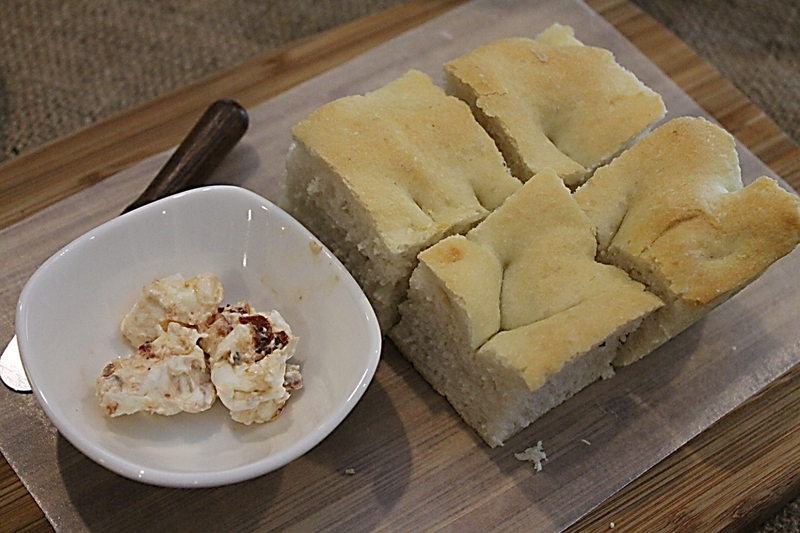 The Tuscan Brunch Set on one hand, begins with a serving of slices of foccaccia and a bowl of a creamy dip. 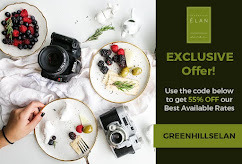 You can either choose to have just the brunch special (Php 390 ala carte) or go really big time (enough for you to have an excuse to skip lunch) with the Tuscan Brunch Feast (Php 1250). The Truffled Cheese and Mushroom Frittata boasts cream baked eggs and sautéed mushrooms flavored with Provolone and truffle oil. Italian Style Eggs Benedetto turns a brunch favorite Italian with Mortadella Bologna topped with Choron, a special tomato béarnaise sauce. For meat lovers, order the Tuscan Polpetone with Mortadella Bologna, Italian Meatloaf and Rosti Potatoes. 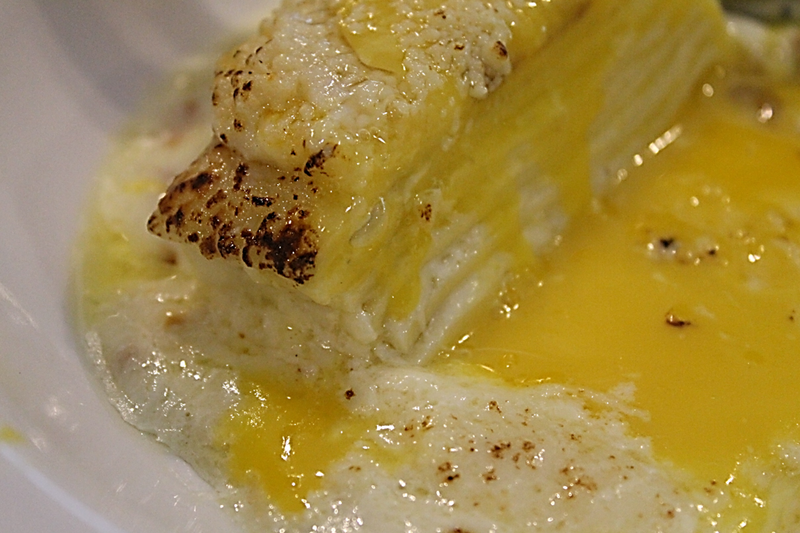 Lasagna Carbonara. Perfectly al dente lasagna sheets are sandwiched between gooey layers of mozzarella cream, topped with grated Grana Padano and salty strips of pancetta. 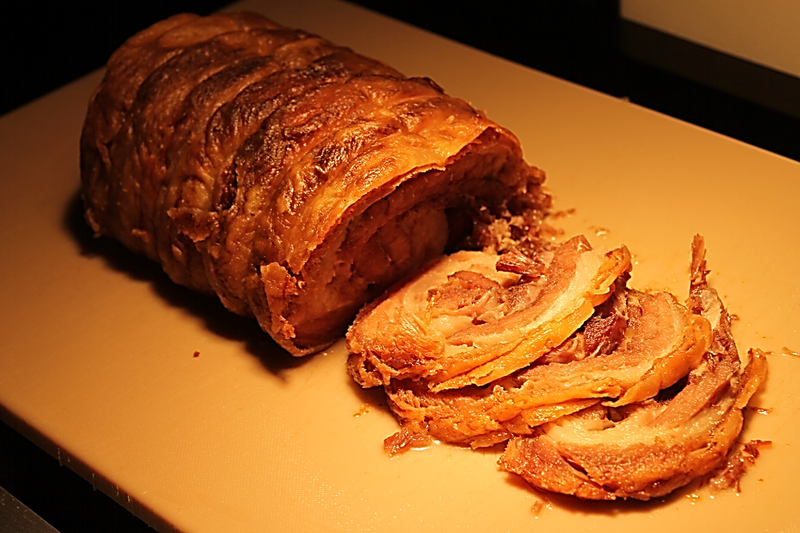 Porchetta Alla Romana. The epitome of a slow roasted pork belly, flavored with fennel and garlic, surrounded by a buttery layer of fat and crisp outer layer whose crackle haunts the hungry imaginations of those who’ve tried it. Tuscan Brunch Feast is also served with unlimited slices of Pancetta Arrotolata. 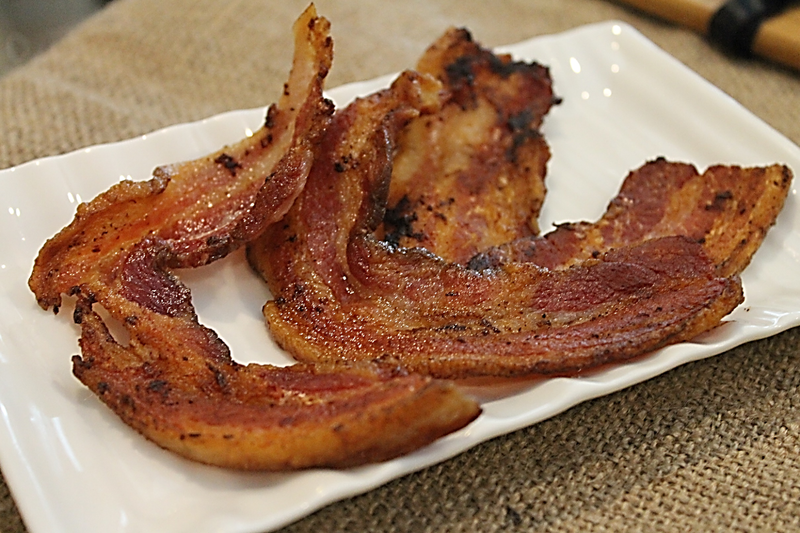 To-die-for kind of Italian bacon, cooked the way you want it. This is something one needed to have control to, unlimited of this is literally to die for. Not that I'm scaring you, but it's utterly tempting, you won't be able to resist more than just one serving. I had to restrain myself, cause my daughter and I had a lot! Like everything in the menu, this is homemade dry-cured pork belly, cured for nine days and it wasn't salty nor sweetened, it's seasoned fairly to everyone's liking. My choice of main, Lasagna Carbonara, or more like my daughter's. 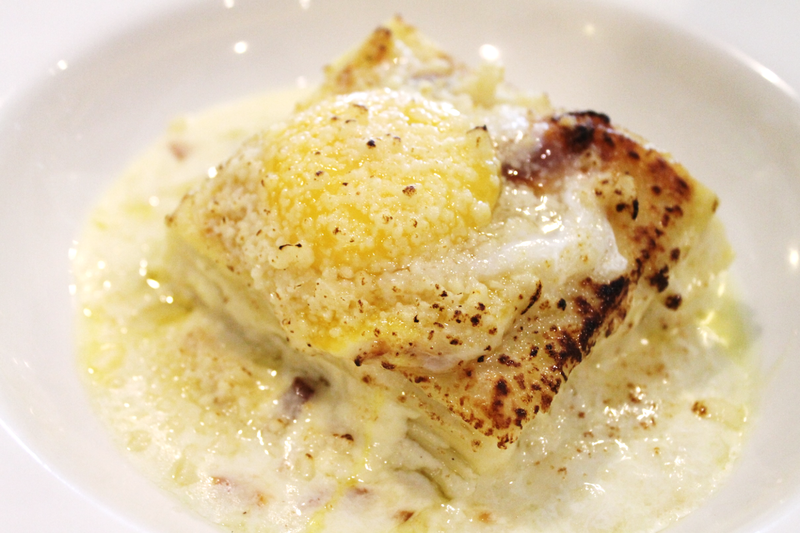 One of the best-seller here, the Lasagna Carbonara. For such a simple dish with just four ingredients, pasta alla carbonara varies impressively from cook to cook, plate to plate. I thought this would not impress the little one, using lasagna, it however put lasagna to the next level. According to Chef Pankie, Ponti's executive chef, everything is made from scratch including the pasta. 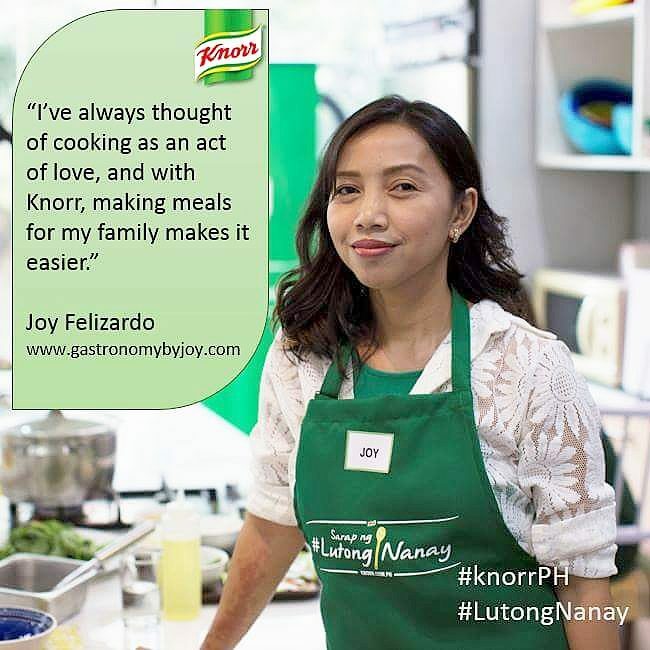 That's another reason why will surely love this dish, just the way we did. How can a meal be a feast without desserts. 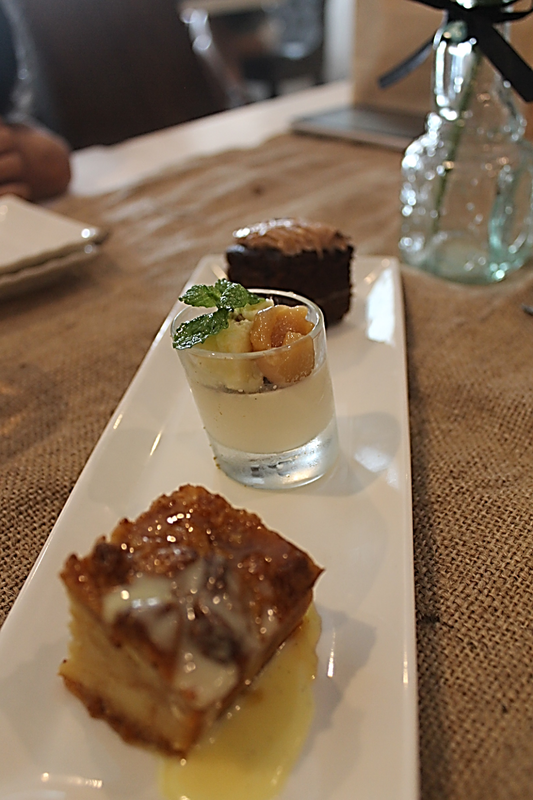 You'll be more than happy when I tell you the the brunch feast includes three dolci (dessert) of your choice. I had Caramello di Semolina, Cheesecake Caramel Panna Cotta and Decadent Chocolate Cake. Not only that I had a wonderful day brunching with my bunso, it also was a good time catching up with Joy M. of Occasions of Joy. kinder uggs sale ellendig vanaf kinder uggs sale vandaag geweest, dan verklaar ik de overeenkomst ongeldig is, ga terug en kinder uggs sale vertellen mensen je school, de ingang einde van de dag, dat je uggs bailey button sale twee zijn onze voeten verjaardag. Nu ga weg uit een van de campus, of ik zie dat je je een keer raken een keer, elke keer Genghen. kinder uggs sale De gedachte ugg classic short sale van vier zullen hier worden verminkt.